I have long given up the habit of eating at fast food joints, only doing so whenever I get a really intense craving for an MSG fix...or when KFC is serving their Double Down, McDonald's their Twister Fries, or Jollibee their Amazing Aloha or Hashbrown Burger. 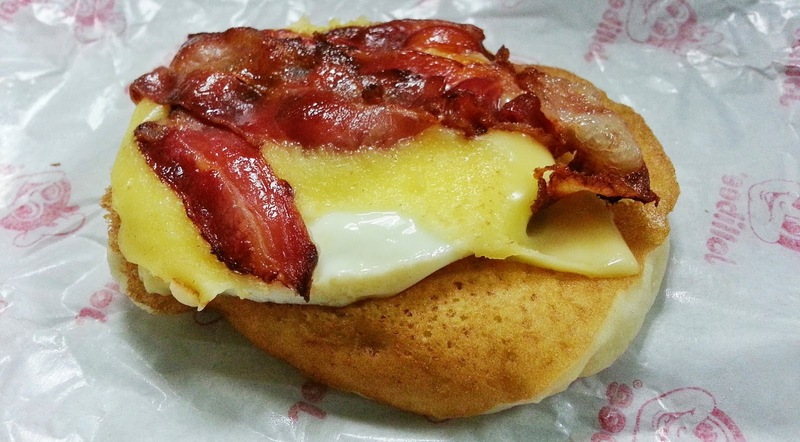 Those last two establishments have just added to their roster of periodically sold food items—the McRib and Pancake Sandwich, respectively—though the former has been around since the 80s in other countries. Because I'm a foodie, I couldn't help but try both of them. 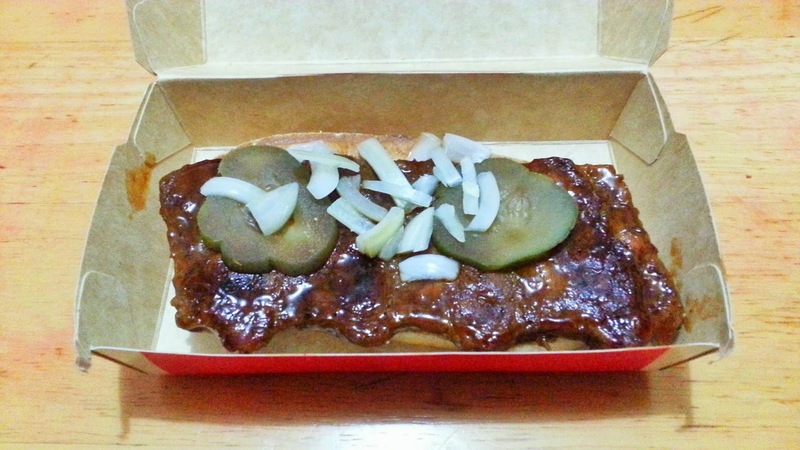 The McRib is barbecue-flavored pork meat that comes either with rice or as a sandwich with onions and pickles. But don't be fooled into thinking this McDonald's offering is actually a rib, as it's only restructured meat, inspired by pulled-pork barbecue. In fact that's what it really is—pork barbecue, only larger and minus the stick, slathered with barbecue sauce to make you think you're eating something grilled. I would have had a much better impression of it had it been called the McBarbecue, but the deception, obvious though it may be, diminished whatever slight tastiness the product had. 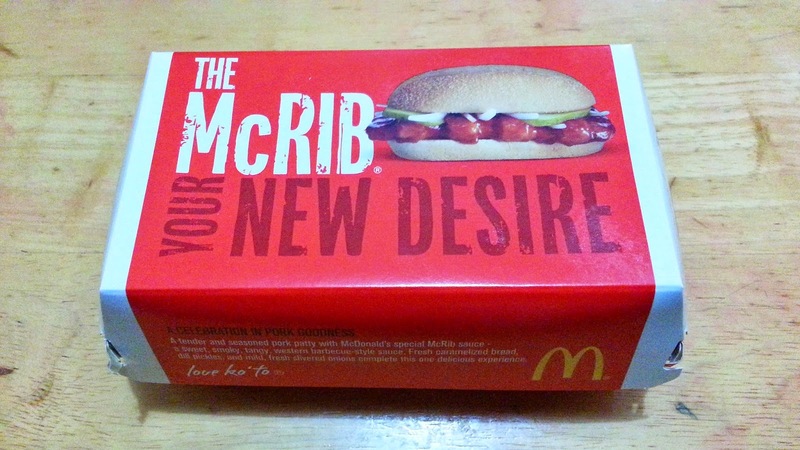 So, all that to say I didn't quite like the McRib. Not worth the P110 one has to pay for a sandwich or P100 with rice (both a la carte), or the hype they're trying to build around it by just serving it at a few McDonald's branches. 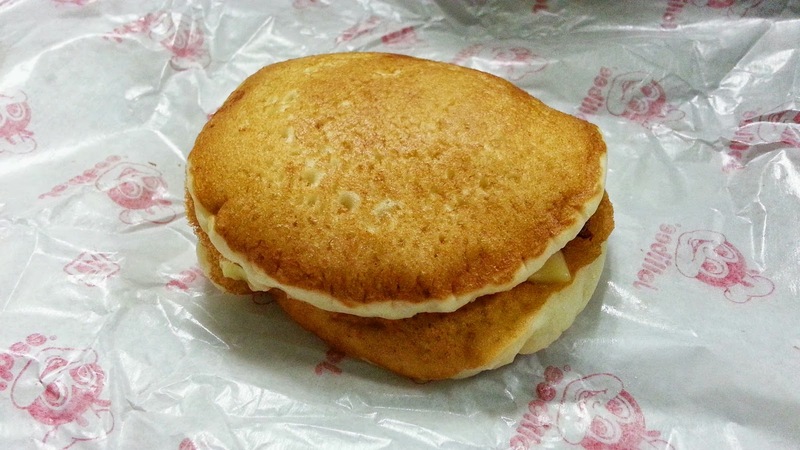 Jollibee's Pancake Sandwich provided me with a much more pleasant experience. It's strips of bacon (a.k.a. happiness), an egg and a slice of cheese, sandwiched between two pancakes (a.k.a. more happiness), all combining to give you several bites of absolute nirvana. No need for maple syrup, because it tastes delicious as it is. 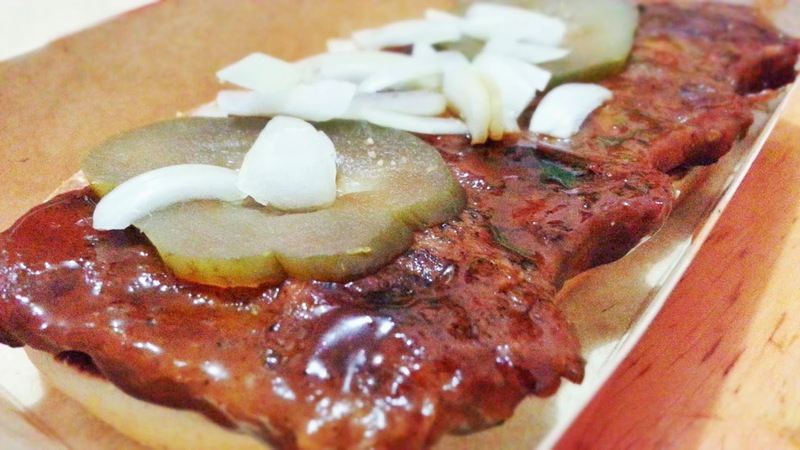 For only P50 a la carte, you can buy two of it and be much more satisfied than just buying one McRib sandwich for almost the same price. The Pancake Sandwich's only downside? Being a breakfast food item, it's only available between 6 and 11 AM. And most stores run out of it fast. I used to think fast food establishments were crazy for not making their periodically sold items permanent menu offerings, but now I realize it's actually a smart move keeping such things off the public's reach for a while. And from a consumer's point of view, baka pagsawaan agad. Let the people clamor for the food item for a while, like I've been doing for Jollibee's Pancake Sandwich most mornings before coming to work. And then provide us ample time to lose some weight before making us regain it all later.